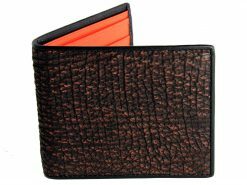 We’ve crafted this custom leather wallet using shark skin and stingray skin after receiving a request by a member of the boys in blue at Chicago Police Dept. 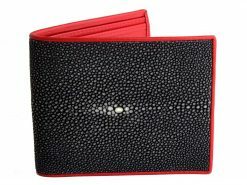 Your average custom leather wallet doesn’t often combine exotic leathers such as stingray skin and shark leather, but now ours do. These “signature series” custom leather wallets have been designed in house for the Chicago Police Dept. 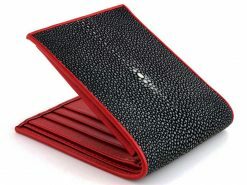 They are now available to you and have have since become one of our most popular wallets. 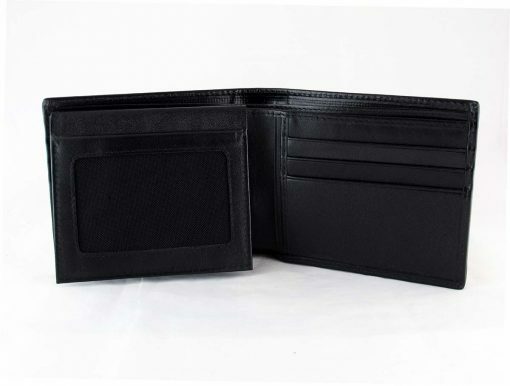 The Chicago Police colors are beautifully represented by our black sharkskin wallet with blue stingray leather and perfectly compliment each other. Our shark wallets are made with one of the most durable leathers on the market and will outlast normal cow leather many times over. 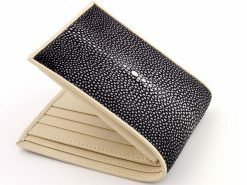 Don’t get caught out, strictly limited run and exclusive to Real Mens Wallets. So grab yours now while you can… whatcha gonna do. 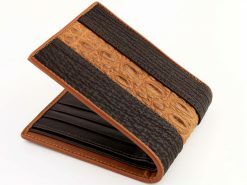 Hello, I was the Chicago copper that brought this “thin blue line” suggestion to the folks at Real Mens Wallets. First, I’d like to say I am EXTREMELY happy with the quality workmanship and attention to detail of this wallet. The color combo looks GREAT, and is a real tribute piece to law enforcement. The seams are perfectly straight and the sharkskin feels soft to the touch and at the same time, tough and durable. 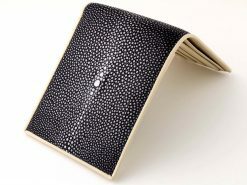 When I brought this to Xavier as a custom piece, he did the research and was very enthusiastic about finding the right stingray leather and bringing this idea to fruition. 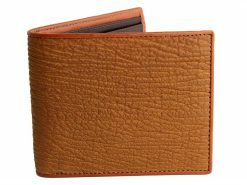 He did say it would take some time to get the stingray leather he wanted for this custom wallet, but he got it and I can tell you that the wait was definitely worth it. I am very impressed with this company. Great communication and top notch quality. I can honestly say that I will never buy another wallet from a chain store again. After seeing what they were able to do with this wallet, I am hooked. I’ve already had several people comment on how interesting and cool the wallet is and I’ve only had it for a handful of days. 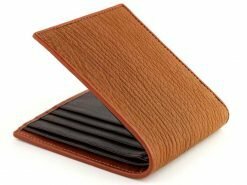 I would suggest everyone browse around this site, there is a wallet for just about everybody…and if you can’t find something you like, contact these guys and I’m positive they will come up with something to suit your taste.